Discover how to turn your website into a marketing-savvy tool. Fact: visitors will almost always judge a website by the looks of it. And I'm here to turn your website into eye-candy while bringing your brand story in front of prospects. As a former HubSpot Technical Support, I'll work with you to create a lead generating HubSpot website that fits your budget, timeline and type of customer. From now on, you don't have to build everything from scratch. You'll get custom templates for blogs, landing pages and emails that stick to HubSpot's best design practices. Best of all, working with me is like having an actual HubSpot design consultant within your reach. As one who trained other HubSpotters, you'll get the best design techniques and philosophies to turn your website into a 24/7 lead generating machine. or, see my design and development packages. "Ashley has an excellent knowledge of all aspects of HubSpot. She provided us with all the services and knowledge we needed when we first started using the platform. She helped us bring the vision of our new website to life. Beyond her knowledge of HubSpot she was always willing to help and provide a great service with her speedy response times. Highly recommend Ashley for all aspects of HubSpot!" 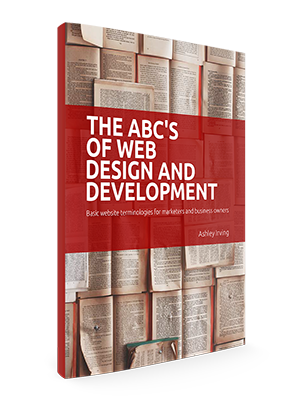 A Free eBook of Web Terms and Terminologies for marketers and business owners...with expert tips and examples.